I help my clients increase their movement quality and confidence. My movement coaching training aims to promote the benefits of both dance expression and dance technique. I create an energized environment for participants to be present with themself and/or those around them. An energy massive enough to get groups of diverse individuals to move in unison with smiles on their face all while activating their bodies, releasing toxins, and cultivating joy. Training focuses on the significance of connecting the body to different types of music so that an ability to share a story through movement is developed. Basic to intricate movement is taught for any requested style of dance. Participants learn the proper ways of executing and perfecting various techniques to prevent injury as well as improve form. Def: Reports show that, in addition to disease prevention benefits, regular physical activity provides advantages that help individuals sleep better, feel better, and perform daily tasks more effectively. 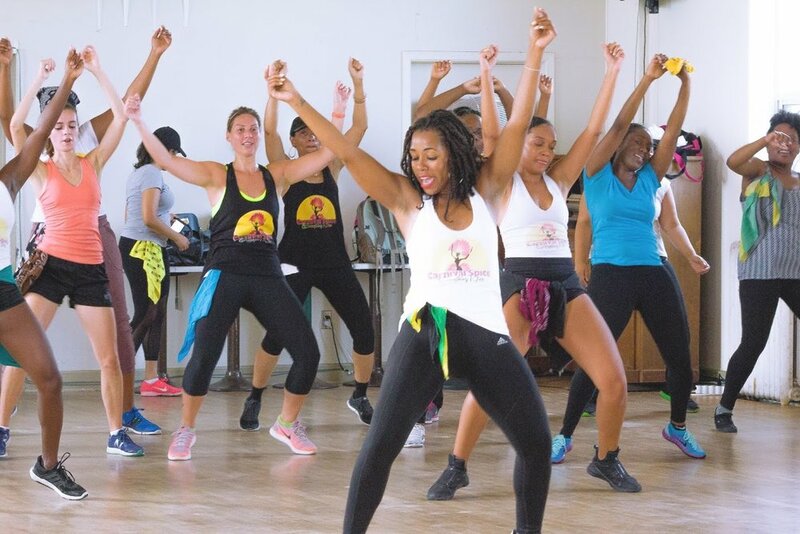 Shakera offers high-energy, innovative dance fitness experiences that fuse urban genres and moves such as Hip Hop, Dancehall, Afrobeat and more! There’s an amazing energy present in every class. Participants will have a blast and burn tons of calories without even noticing it, that’s Shakera’s style. Sessions are available for 60 minute sessions or weekly programming. Recommended Event Types: Community and Corporate organizations ready to use the power of movement to enhance the mental and physical well-being of participants involved. Great for ages 6-60! Def: Shakera teaches her clients how to move with absolute grace, fluidity, power and confidence. Either it be for improving your dance abilities or learning how to move with more confidence, Shakera welcomes private sessions, bridal parties, couple dances and more. She is a firm believer that the way you move and carry yourself greatly affects the way you show up in the world. Sessions are available for 60 minute sessions or weekly programming. Recommended Event Types: One on one coaching, bridal parties, couples, stage.